AMHERST, Mass. – Movement neuroscientist Julia Choi at the University of Massachusetts Amherst recently received a five-year, $616,057 grant from the National Science Foundation's (NSF) faculty early career development (CAREER) program to investigate how the brain learns to control walking. She says such research will help to guide new treatments to improve walking function in people with age-related changes or neurological damage. "I'm interested in how our brain controls movement and how age or brain damage affects movement. I study the neural control of movement in both healthy people and those with neurological disorders," she notes. "One thing we want to understand is how we get better with practice. We think motor learning processes in healthy people and what goes on in re-learning for the injured brain have a similar mechanism. We want to see if we can enhance these to help patients recover motor function that they've lost." Choi, an assistant professor of kinesiology in the School of Public Health and Health Sciences, says, "Just as walking uses different neural circuits than are used for moving your hands, we think there might be different patterns in how motor memories are stored for walking. There might be similarities and differences and we'll try to probe that." 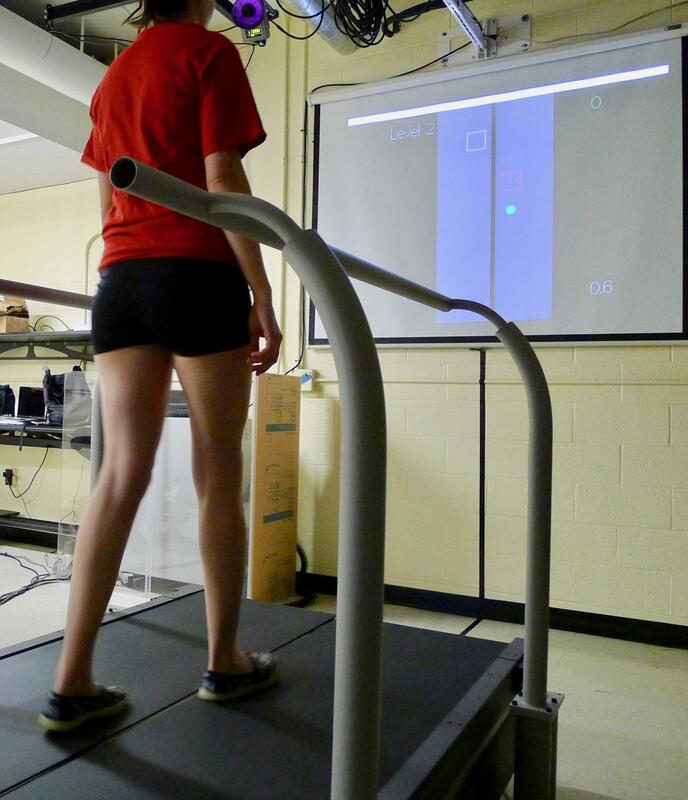 She plans to study people walking in experiments that call on different types of learning on a regular and on a split-belt treadmill, which has two belts that can move at different speeds. Her work is part of NSF's "Science of Learning" program. Choi adds, "We don't have to think much about walking unless there's an obstacle in our way, but our brains are doing a lot of work all the time to help us cope and adapt to changes. A good example is when we go to the beach and step from pavement onto a sandy beach. Your brain helps you quickly adjust to the change, then when you return to the parking lot, walking feels funny again." She will study how people adapt to the experience of walking on a treadmill where one belt goes twice as fast as the other, and as they de-adapt to the belts moving at the same speed again, which takes a few minutes. "Your brain learns and stores the first pattern and you have to de-adapt when it stops. It's not just a mechanical change that takes place. If that were true, we could change immediately from one speed to the other, but we can't. Motor memories are being processed in the brain even after you stop practicing. This shows that the brain has expectations about what's coming." "With this type of study we can explore whether we can help a person who walks asymmetrically from a stroke, for example, to adapt back to more normal walking." Choi will also use a unique treadmill training protocol she developed that presents study participants with a circle target on the belt that requires them to alter their stride to hit it with their feet. "It's like a game," she says, "they get points for hitting the circle. One thing we can learn from this is whether people can learn a pattern and recall it days later and do better at it than if they were performing just a random pattern. It's like learning the piano, you can do better without even practicing when you come back to it after a break. This kind of off-line learning has been demonstrated in finger-tapping but not in walking. It would be really useful if we can find out that this happens with walking because it would show that learning different walking patterns can help people learn a completely new one more easily." Choi earned her undergraduate degree at McGill University, Montréal, and her Ph.D. at Johns Hopkins University. She came to UMass Amherst in 2014 after completing postdoctoral fellowships at Emory University and the University of Copenhagen.